Host Kelly Galea interviews guest Kristen Beireis for this episode where you’ll discover how marketing myths could be zapping crucial trust right out of your business. It’s overwhelming trying to figure out what marketing strategies to learn and then put them into practice. It’s difficult to figure out how to talk about your business, let alone put out a newsletter, blog, ad campaign or other marketing. How in the world are you supposed to do this? How many marketing gurus do you have to hire to get it right? What you may not know is that the overwhelm comes from a trust issue. As you know, people won’t buy from you unless they know, like and “TRUST” you. There are critical, hidden places where you may not be trusting yourself. You have to trust yourself before others are going to trust you. Then you have to make sure your marketing is constantly building trust, not breaking it down. When the trust breaks down, you miss out on your true potential for bringing clients into your business. 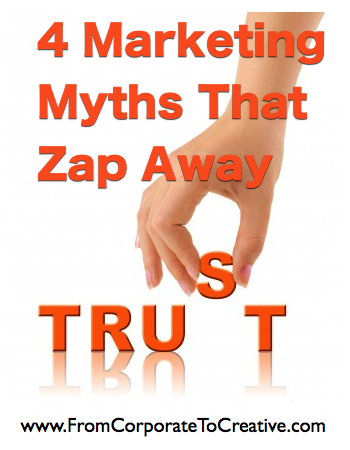 …and yes, all of this has to do with trust-building in marketing. Kristen Beireis is the Trust-Building in Marketing Expert. Since her teen years, Kristen has had a knack for focusing on what she wants for herself and making it happen, no matter what those around her say is possible. She totally understands the power of living authentically and getting your best message out in the world in a way that will attract the right customers and repel the wrong ones. Over the years she has combined all her talents to help people make more money in a way that serves them. In fact it’s not uncommon for clients to come to her and walk away with more confidence, credibility and cash. Kristen calls herself a Life Enthusiast because she believes life was meant to be enjoyed. That’s why she helps her clients enjoy their business more with greater results and joy.